She’s nine years old and already boy-crazy, staring after the director’s son as he walks out the door. Touche, my young friend. Touche. Because there’s really no way for me to come back from that, is there? No way to explain to anyone—let alone a nine-year-old—that I chose this. The singleness thing. How I wear the “never been dated” label like a crown. Tall and proud. No regrets. I’m not ashamed of my relationship status; I just find it hard to explain at times. Because most people don’t think that being twenty-two years single is a thing to be proud of. In fact, I’d venture to say that most people, like a certain nine-year-old I know, would say that this actually concerns them to some extent. Well, I’m sorry that you’re concerned, but I’m happy as I am, thank you very much. So, how have I managed all these years? I’m so glad you asked. In my book, I talk a little about how I quickly decided that I didn’t want to spend my teen years in the business of broken hearts. I didn’t want to make the mistake of getting completely lost in a guy like some of my friends had done. But I’m realizing more and more every day that what ultimately kept me single was not what I didn’t want, but what I did want. This may sound ridiculous, but the real reason I avoided the dating world in high school is because I knew I was bound for the mission’s field. I wanted that little office nestled in the mountains of Virginia where people came together to further the Gospel throughout the world, and I knew that office was a long way from Ohio. And I knew my heart was never very good at holding things lightly. And I knew if I got too attached, I’d never pack up and go. So I made a choice. And I kept making choices that led me to this place here and now. Because when it comes time to choose between a calling and a possibility, I’ll take the calling every time. Because I know what I want. I know where God is leading me. And I know how easy it is to forget all that when my heart starts skipping three steps ahead. I still believe there is someone out there who will come along and fulfill my dreams of marriage and family and cute little houses void of white picket fences because who needs a fence when the world is your playground. I still believe he will come and fit into all the other dreams like that piece of the jigsaw puzzle that finally makes sense because I’ve turned it the right way. But I’ve never believed that God would give me two dreams only to make me choose one over the other. And while I believe in sacrifice, I’ve never believed in surrendering vital pieces of who I am in order to become a vital piece of someone else. Because I choose to believe that there will one day be a relationship that I don’t have to force. And I know, I know, yes, I know that the only way I can be happy right now is by knowing that this is the path God has paved for me. This is the life I was made for living. And I find great comfort in the fact that I don’t have to chase down my Prince Charming; I just have to discern what God wants for my life right now and trust Him to take care of the rest. It wasn’t the thought of having a relationship that scared her, it was the use of that phrase “other half.” Because if she had an “other half” out there somewhere, it meant she wasn’t complete without him. It meant that she, as a single woman, was somehow lacking. “I don’t think there’s anything wrong with wanting to be a whole person on your own,” she said. Because I think too many girls obsess over the thought of their “other half.” And I think that whether we realize it or not, that choice of wording plays out in our hearts in powerful and painful ways. Because as long as your “other half” is somewhere out there waiting, you are not complete. I think it would be a dreadful thing to be missing half of myself. I have a hard enough time figuring out who I am without having to imagine that there’s still a huge piece of myself that I haven’t even met yet. I don’t want to be half a person. 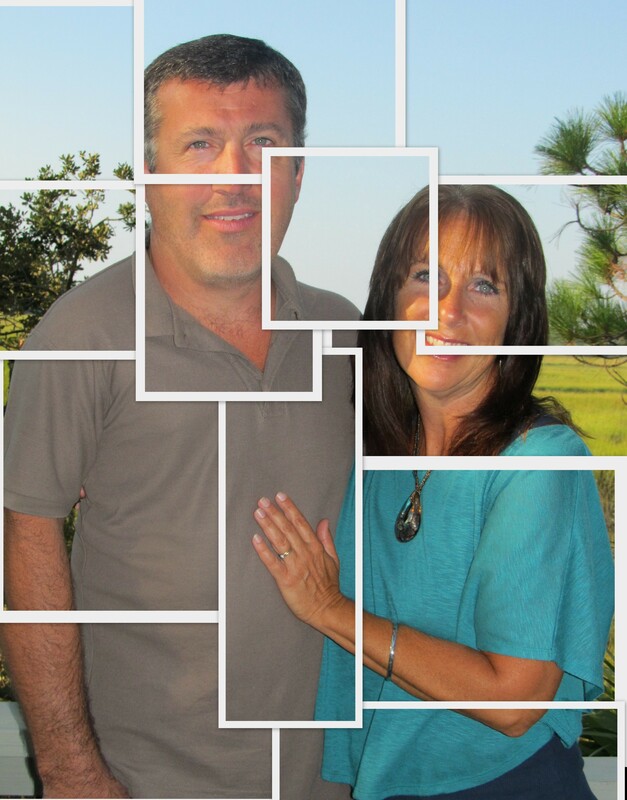 I don’t want a fractured, broken, vital-pieces-missing version of myself to be all I have to offer my husband. And I certainly don’t want that to be all he has to offer me. I want all of him and all of me. And I want to somehow meld all that together one day. But I still want to be whole in myself. Complete without him. And I want him to be complete without me. When people say you should marry someone you cannot live without, I don’t think they mean it in a literal sense. Because I don’t think it’s healthy to depend on another human being like you depend on the air that you breathe. Because even though your spouse should be the most important aspect of your life, there will always be life outside each other. And I think so many of us tend to forget that. I don’t think anyone should have to spend their life in pieces. I don’t think there’s anything wrong with wanting to be a whole person on your own. And I don’t want to live a fractured life, trying to discover how the pieces are supposed to fit together. So let’s all take a step toward becoming whole. Dating Isn’t the Issue; Waiting Is. I knew when I wrote Beyond Waiting that it was going to brand me. Still I can’t help but sigh when I get certain feedback from people who hear I’ve written a book. Because most people don’t assume I had no desire to write Beyond Waiting. Most people don’t understand that I never wanted to brand myself as the singleness guru. So let’s get something straight, please, so I don’t have to smile and nod through all the singleness talks that everyone assumes I’m oh so interested in. I don’t agree with all the relationship-rambling, purity-pushing, singleness storytellers out there. I didn’t write Beyond Waiting because I wanted to join the bandwagon; I wrote it because I thought a vital piece of the story wasn’t being told. It felt to me like so many people were getting caught up in the so-called “rules” of dating that they were overlooking the problem altogether. The problem is that we’ve got our girls so wrapped up in the “Your Prince Will Come” mentality that they can’t see that there is more to life than happily ever after. The problem is that we’ve become so wrapped up in daydreams that we’ve forgotten to live the adventure that is waiting for us here and now—Prince Charming-less. I don’t consider myself an expert on relationships. In fact, if you’re looking for someone who can speak from personal experience, I’m the last person you want to consult on that subject. That’s why I didn’t write Beyond Waiting from the perspective that focuses on the someday guy. And yeah, I’ve got opinions about dating and relationships, but they’re not the ones you’ll hear at those Christian conferences that talk about how true love waits. Mostly because they’re my own. Because I don’t believe there’s a formula to relationships so I’m not going to be the one to say you’re doing it wrong. It’s not my job to convict you. It’s not my job to believe I know better than you. But it is my job to encourage you to live each and every moment of your life. Because that’s how I would want you to encourage me. And no matter what our relationship status is, we’ve got to embrace them. 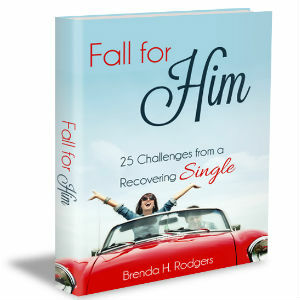 Once you’ve written a book on singleness, people tend to assume that anything involving singleness, marriage, or dating must interest you. If I had a dollar for every time someone came up to me to point out yet another book, blog post, seminar, etc. about relationship statuses, I might actually be making decent money off this accidental venture of mine. And I might be less inclined to roll my eyes every time someone approached me with yet another you-name-it. Because, seriously, it happens all the time and, honestly, I’m not all that interested in talking about romance and relationships. So when a friend of mine posted a link on my wall saying she thought I would like it, I had one of those “ugh” moments. Except the title of this blog really intrigued me. “I don’t wait anymore,” it said. So I clicked the link and read what may honestly be the best message on singleness I ever read. Go read it and see what you think. Apparently I’m not the only person in the world who discovered that waiting is not always a good thing. Someone aside from me realized that the pat answers we give single people do more harm than good. And someone other than me decided that she wasn’t okay with it anymore. Somewhere along the line, we started to get this idea that singleness is an if/then agreement with God. Well okay, God, but is that sort of like how my dad promised we’d get a horse after my brother was potty-trained? Because he’d been wearing big boy pants for seven years when we finally got one, and I don’t know that I can wait seven years for a guy. I’m sort of satisfied now, so could You hurry up a little? I completely and totally, wholeheartedly agree with Grace on this one. Somehow we’ve taken something as beautiful as purity and waiting and distorted it until it was all about a guy. But God didn’t give us a season of singleness so we could spend it searching for Mr. Right; He gave us that time to fall in love with Him. We’ve lost sight of that. We’ve let our focus shift. And we’re insecure and unsatisfied because of it. But you know what? There’s something bigger out there. Something better. God desires so much for you in this season of your life and He is simply waiting for you to reach out and take hold of the life He intended for you.